All who knew Mark Ellis would agree that he brought color to the world around him. He was vibrant and fun-loving, and he was forever teasing his friends and loved ones. Thoughtful and giving, Mark was the sort of person who would do whatever he could for others, and his love for his family was easy to see. With his life deeply rooted in his faith, he lived life knowing that there is a greater purpose in everything we do. Although he will be deeply missed, Mark leaves behind a priceless collection of memories that his loved ones will forever hold near and dear to their hearts. The 1960s were an eventful time in our nation’s history. We elected the young John F. Kennedy as our 35th President of the United States, only to mourn his death a short time later, and civil rights were front and center. We enjoyed movies with James Dean and plenty of rock ’n roll, and by the end of the decade it was America that put the first man on the moon. It was also during this very exciting time that Timothy and Terry (Bicknell) Ellis were eagerly awaiting the birth of their new baby as the beauty of fall covered the city of West Allis, Wisconsin, in October of 1963. Their wait was over when the baby boy they named Mark Christopher drew his first breath on October 10th in West Allis Memorial Hospital. He was the second of five children in his family as he was joined in the Ellis clan by his older brother, Robert, his younger brother, Timothy, and his younger sisters, Lisa and Jill. Sadly, Timothy died when Mark was just two years old. His father worked in the shipping area at Northwestern Mutual Life Insurance Company while his mom was a stay at home mom and a homemaker. 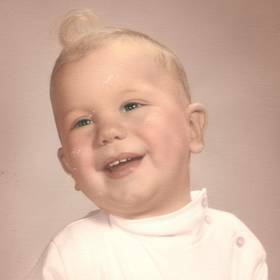 Raised in the family home in the area of 97th Street and Wilbur Avenue in West Milwaukee, Mark was a typical boy growing up. With an older brother he was no stranger to being teased, and this is also how Mark mastered the art of teasing himself. This was not only something that he carried over into his relationship with his sisters, but he loved teasing with his own kids later in life as well. 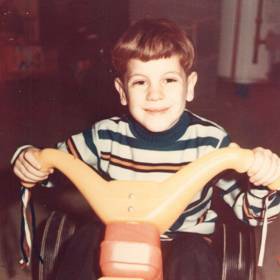 Mark loved to play whether inside or outside and could often be found riding his big wheel or playing cops and robbers. He and his friends spent hours riding their big wheels in the basement that was marked up with their wheel tracks all over the floor. As he got a little older Mark developed a liking for motor bikes. He and his friends raced motorized mini-bikes in the neighborhood, and they created a dirt track in the neighborhood park. As much as Mark enjoyed teasing his sisters, it was also easy to see how deeply he loved them. He enjoyed making the holidays special for them as it was one of his favorite times of the year. Mark loved describing in great detail the beauty of the lights and the presents, and his love for the season was contagious when everyone was together. Summers found the family going to Grandpa Ellis’s trailer near Chute Pond Park near Mountain, Wisconsin, where they enjoyed plenty of swimming and boating. Mark was about 12 when the family moved to Oak Creek as his parents had developed a relationship with Jesus and moved there to be closer to their church, Parkway Apostolic Church. Mark received the baptism of the Holy Ghost at church and was baptized in the name of Jesus by Pastor Frank Tamel. He then attended Parkway Christian Academy, and he later graduated high school from Greendale Baptist Academy. After high school Mark was eager for all that life had in store. He began working at Mount Carmel Nursing Home in the kitchen, and he later worked at parking lots in the downtown Milwaukee area. The lots were owned by the Iannelli family, which proved to be quite fateful as he got to know Debbie Iannelli. They began dating, and in October of 1985 they were married. 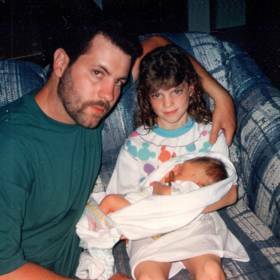 Together they were blessed with the birth of their daughter, Lindsay in 1987, with Mark proclaiming, “She’s perfect, she’s perfect!” Although their marriage later ended in divorce, he was forever grateful for the daughter they shared. Mark later met Karla King, and they married in 1992. They were blessed with the birth of their son Mark Christopher Jr., and Mark was one proud father. The marriage ended in divorce. Mark was such a fun father. He loved his children, but the teasing continued. It seemed Mark could do just about anything to get his kids to laugh as he was known for things like performing “The Ugly Dance,” telling amazing stories, sharing his impressions of celebrities or family members, and even putting on his very own ventriloquist act. Mark taught his son about cars, which was something he learned from his own dad. Football and the love for the Green Bay Packers was something else that Mark was more than happy to pass on to his son. Fall was always Mark’s favorite time of the year. He enjoyed hunting, a hobby introduced to him by his father when Mark was just 12. 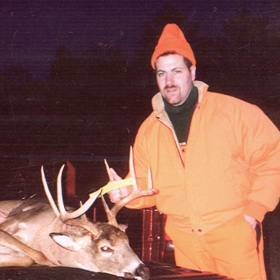 He often went deer hunting with his dad, grandpa, and brother. 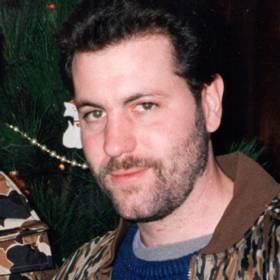 He had a special friendship with his cousin Mike Polaski, through work and through life experiences and he was very appreciative of Mike’s friendship. 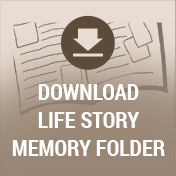 Throughout his life Mark maintained an active lifestyle. He spent 30 years working for Specialty Underwriters Inc. in Oak Creek. Mark enjoyed his work, those he worked with and was so grateful for such an amazing job. In addition to hunting, he enjoyed car shows, his Ram 2500 truck, “The Beast,” target shooting, country music, and Elvis. Mark once purchased a Harley Davidson motorcycle without consulting his wife, just to keep up with his brother. A very special lady came into Mark's life in 2014. Her name is Debbie Campobello, and she was his angel. Mark adored Debbie, and he talked of marrying her after he received his new liver. When someone would bring her name up while he was in the hospital his face would light up. Mark was no stranger to health issues this past year as he was diagnosed with double pneumonia a week after deer hunting in 2015.  He later developed liver issues and was in need of a liver transplant. Life became heavy for him, twice he was being prepared to receive a new liver but the liver turned out not to be the best match for him. Through it all Mark remained caring and big hearted. He expressed his love of Jesus and wanted to tell everyone about what Jesus had done for him. Described as selfless, frugal, and thoughtful, Mark Ellis was a blessing to everyone he met. He was known for being hardworking and frugal with a love for so many different things. Mark loved making the holidays such a special time as there was nothing he loved more than being surrounded by his family. Dearly loved, he will never be forgotten. Mark C. Ellis went on to be with his Jesus Sunday, September 25, 2016. Mark’s family includes his children, Lindsay Manriquez and Mark C. Ellis Jr.; grandchildren, Landon, Logan, Lucas, and Jason’ parents, Timothy and Terry Ellis; siblings, Lisa (Jed) Voller, Jill (Nick) Neumiller, the late Robert (Erin) Ellis and the late Timothy Ellis as well as other relatives and friends. Visitation will be held on Wednesday, September 28, 2016, at Parkway Apostolic Church, 10940 S. Nicholson Road Oak Creek, WI from 5:00 p.m. until time of the Funeral Service at 7:00 p.m. Private interment Woodlawn Cemetery. Arrangement provided by Suminski LifeStory Funeral Homes.